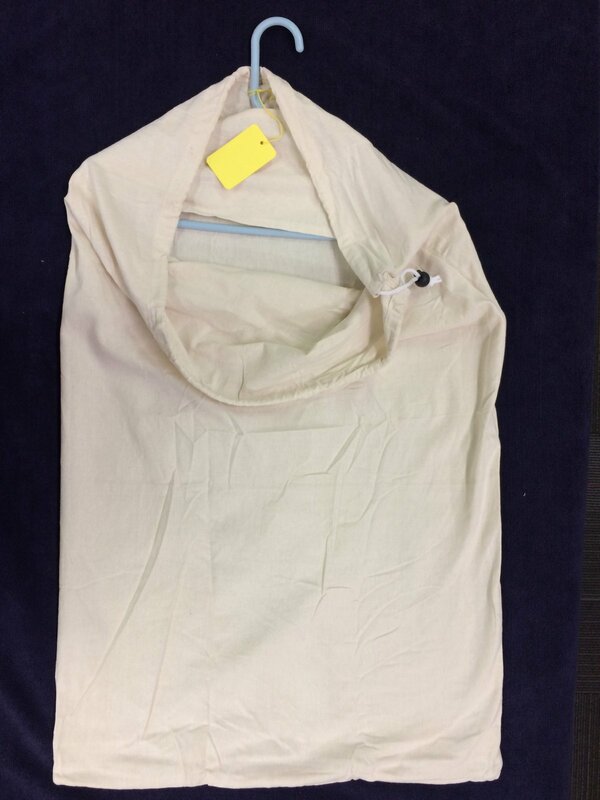 Cotton fiber Laundry bag with Hanger insert Locking drawstring. White. International Luggage Collection Travel product. Mission Certified.